ITU World Triathlon series is the top tier of triathlon racing. There are eight races each year, of which the final one is the grand final. How you win is complicated: you get points depending on where you finish and you can take your top five races, plus the grand final, in which the points are worth more. The end result was that the women’s title came down to two people: America’s Katie Zaferes and Britain’s Vicky Holland. Zaferes just had the lead, but it was so close (and everyone else was so far behind) that whoever finished first out of the two of them would become world champion. 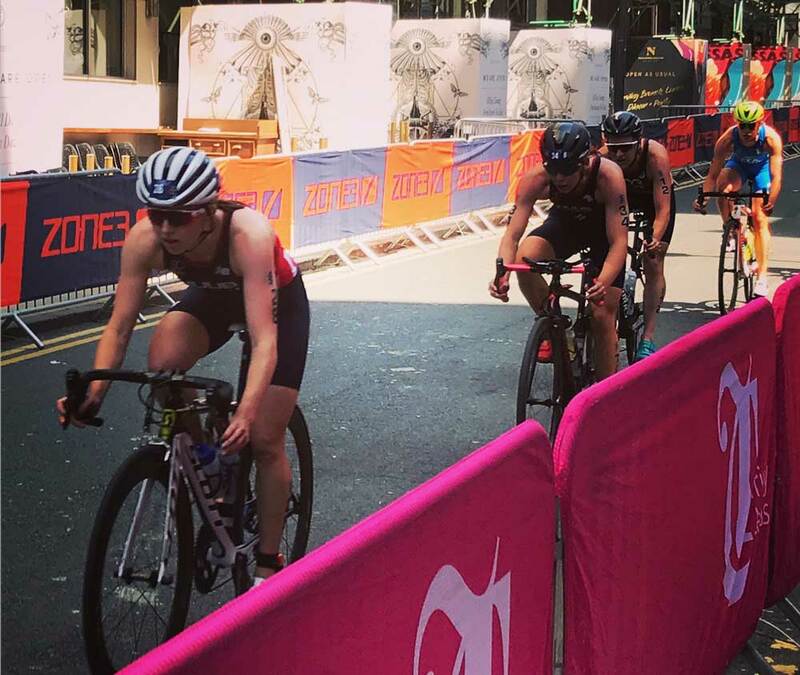 Holland had an amazing swim, keeping up with the lead pack (normally she has to chase them down later in the race) and the two remained in the lead pack throughout the bike. Holland had an amazing transition and set off on the run in the lead. However, Zaferes gave it everything she had and caught and passed Holland within a kilometre. Holland was not done, though. She held on at 10 seconds down from Zaferes and Gentle and as the kilometres slowly ticked away, Zaferes was unable to hold the pace and Holland got herself back into the race and passed her, ultimately beating Gentle in a sprint finish. The men’s race was a little easier to predict. Mario Mola is unbeatable. Even with Kristian Blummenfelt rocketing off the front in the bike and giving himself a minute’s advantage, Mola comfortably ran him down to yet again deny Blummenfelt his first World Triathlon victory. An impressive Vincent Louis went with Mola and ultimately out-ran him to the line. It’s not often you see someone outrun Mario Mola. But I’m sure becoming a three-time world champion will have been consolation price enough. The weather was a little chilly on the Gold Coast. As a result, World Triathlon Leeds was officially crowned as the hottest race of the year. It certainly didn’t feel like that when we jumped into the lake at 7am! This entry was posted on Wednesday, September 26th, 2018 at 11:00 am and is filed under Sport. You can follow any responses to this entry through the RSS 2.0 feed. Both comments and pings are currently closed.